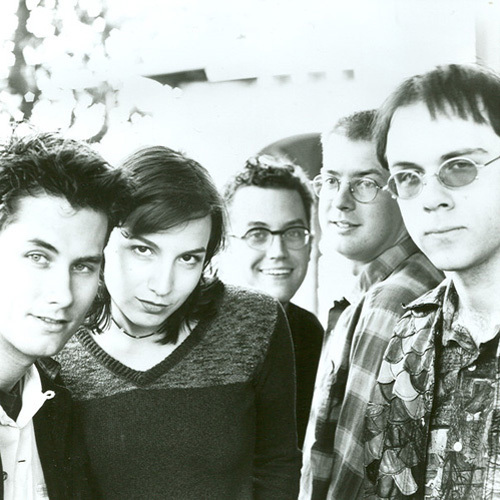 Velocity Girl was an American indie rock band formed in 1989 in College Park, Maryland, although it was generally known as a Washington, DC-area band. The band released three albums and a abundance of singles before splitting up in 1996. Performed live (with original member Bridget Cross) at 9:30, Washington, D.C., 1990. 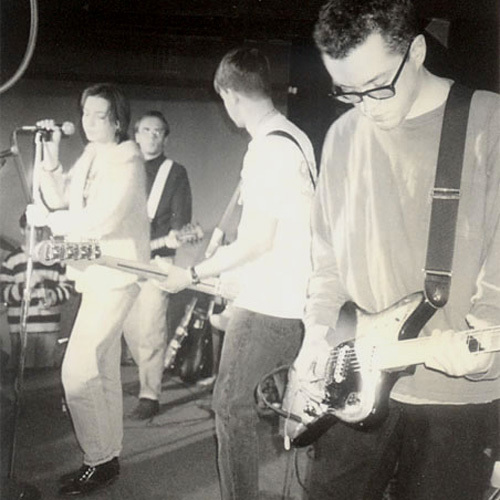 Marrying the feedback-drenched sonic assault of the British shoegazer scene with the melodic immediacy of classic pop - an approach critics dubbed "bubblegrunge" - Velocity Girl emerged as one of the most successful and acclaimed indie rock bands of the early '90s. Their roots lay in the short-lived Gotterdammacrats, which formed in Silver Spring, MD in September 1988 around the nucleus of singer/guitarist Archie Moore, bassist Kelly Riles, guitarist John Barnett, and drummer Berny Grindel. Barnett exited following the first performance, and after playing a series of gigs as a three-piece, the group welcomed vocalist Bridget Cross in the summer of 1989 and adopted the name Velocity Girl, borrowing the moniker from an early B-side by the then-obscure British band Primal Scream. As the year drew to a close, the band made its recorded debut with "Clock," a contribution to the compilation What Kind of Heaven Do You Want?, the first release on the fledgling local label Slumberland. 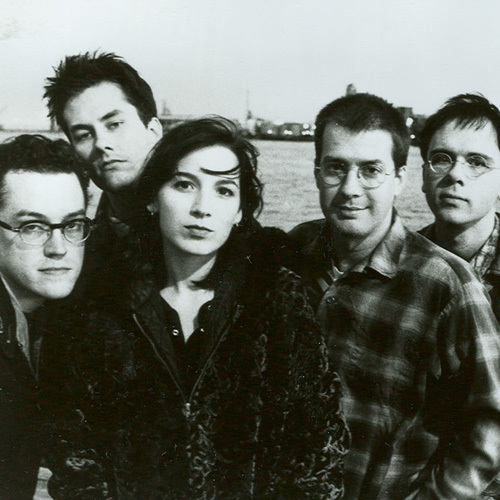 Drummer Jim Spellman replaced Grindel in the fall of 1990, and after completing the single "I Don't Care if You Go," Cross left the lineup early the following year; she soon resurfaced in another seminal D.C. indie band, Unrest. Singer Sarah Shannon was tapped as Cross' replacement, and a week after adding second guitarist Brian Nelson - Moore's bandmate in the pioneering Black Tambourine - Velocity Girl entered the studio to record its breakthrough single, 1991's "My Forgotten Favorite." The record was a major college radio favorite, and brought the group to the attention of the Sub Pop label, which released a split single featuring Velocity Girl and fellow D.C.-area band Tsunami in early 1992. Velocity Girl remained with Sub Pop to issue its 1993 full-length debut Copacetic - a much-acclaimed set featuring the singles "Crazy Town" and "Audrey's Eyes," its ingratiating noise-pop approach proved pivotal in expanding Sub Pop's image beyond that of merely a Seattle grunge label, and at the time Copacetic was the second biggest seller in the company's history, behind only Nirvana's Bleach. The follow-up, Simpatico, was even more successful, generating the minor hit "Sorry Again." 1996's Gilded Stars and Zealous Hearts was far less fulfilling creatively and commercially, however, and after completing the album Shannon relocated to Seattle. The group's days were clearly numbered, and a U.S. tour culminated in a farewell show at Baltimore's 8x10 Club that September. After Velocity Girl dissolved, Shannon, Riles, and Spellman reunited in the short-lived Starry Eyes, while Moore - who also helmed a side project, the Heartworms - later resurfaced as a member of the acclaimed the Saturday People. WMBR Presents: Clear The Room!